Off-Kilta Matilda™, the first in a series of books to promote STEM and stem activities to kids, is now avaiable on Amazon. Off-Kilta Matilda™ is the first in a series of children's books written by Sarah Shipley and Irvin Gray. Illustrated by Eric Stykel, this 34-page, full-color book will delight kids from second through fourth grade. Off-Kilta Matilda™ shows girls (and boys) why math is fun and how to be a leader at STEM. Off-Kilta Matilda™ is smart, sassy and unique. Follow her story as she learns about math, becomes resilient and starts the Prime Number Club. 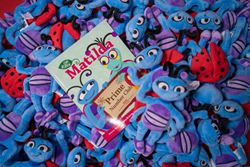 Off-Kilta Matilda™ is a ladybug with 5 spots on her left wing and 6 spots on her right. All of the other bugs in her classroom have equal spots on their wings. 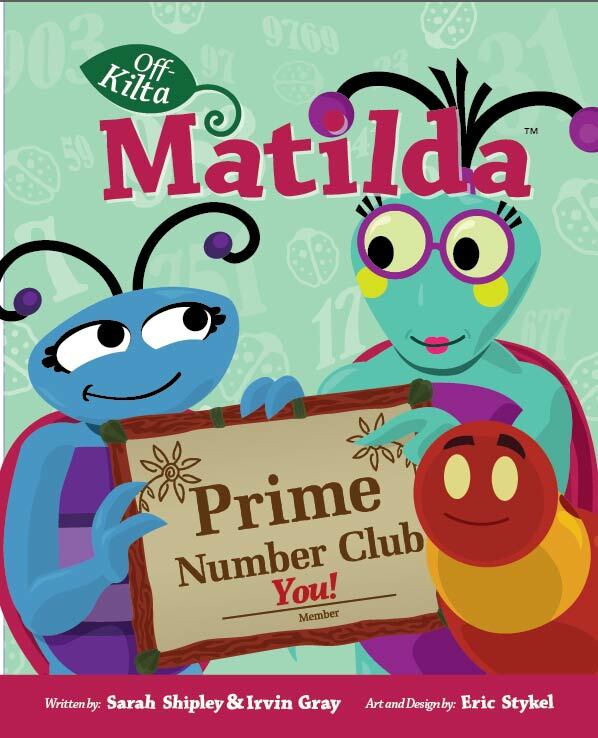 Her classmates make fun of her for being different, but Off-Kilta Matilda™ and her mom embrace the spots that make them special and start the Prime Number Club. In the process,Off-Kilta Matilda™ learns that she can be a leader in math. Every person who purchases the book can join the Prime Number Club. The club, found on http://www.offkiltamatilda.com, can be joined by entering the access code found on the certificate at the end of each the book. In the club, participants can find printables, the teacher’s guide, and other fun merchandise! Getting the book and joining the Prime Number Club is now easier than ever! With a few simple clicks, you can have your very own copy of the book. You can also purchase the book from the Off-Kilta Matilda™ website. While you’re there, be sure to order the plush doll, coloring pages, and other accessories to complete your collection! Follow Off-Kilta Matilda™ social media to see the latest from the STEM world and keep up to date on her next adventures! Off-Kilta Matilda™ LogoOff-Kilta Matilda™ Logo Off-Kilta Matilda™Review by Traci Angel Off-Kilta Matilda CoverGet the book and join the Prime Number Club today!